Residents claim a controlled burn left their water sources contaminated. The FPC burned an 85ha area of cleared pine about 5km north of Bullsbrook on Great Northern Highway. Water tanks within 1km of the fire were affected, including 47 homes in the Shire of Chittering and seven in the City of Swan. Most affected residents were unable to use their only source of water for up to a week and no prior warning was given for the burn-off. Residents said ash from the controlled burn settled on to roofs then flowed into water tanks, giving the drinking water a foul, smoky smell and flavour. However, subsequent water testing showed all samples were compliant with chemical levels in the Australian Drinking Water Guidelines and therefore were safe to drink. 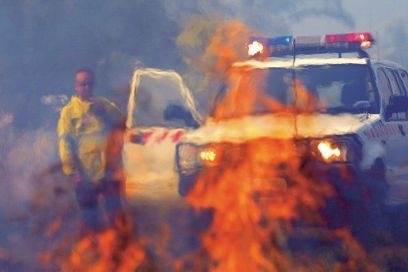 During the unrestricted burning period, which ended on September 30, it is the responsibility of the agency doing the controlled burn to have a plan in place to prevent instances like water tainting from happening. The City of Swan and Shire of Chittering provided water testing, hygiene packs and drinking water for residents and their animals. City chief executive Mike Foley said the City had provided information and advice to residents who were affected. ‘The City hand-delivered letters to residents in areas which may have been affected, as well as ensuring information was available on its website and through its rural place office,’ he said. Local water tank cleaner Michelle Owen said her phone had been ‘off the hook’ with enquiries since the contamination. ‘Some people are not happy with the City of Swan’s results saying the water is safe to drink and have opted to have their tanks cleaned, drained and decontaminated,’ she said. FPC general manager Vince Erasmus said fire management staff were unaware of such an event occurring previously and all protocols were followed. ‘The controlled burn was appropriately conducted with the full knowledge and in accordance with the advice and requirements of the relevant authorities,’ he said.